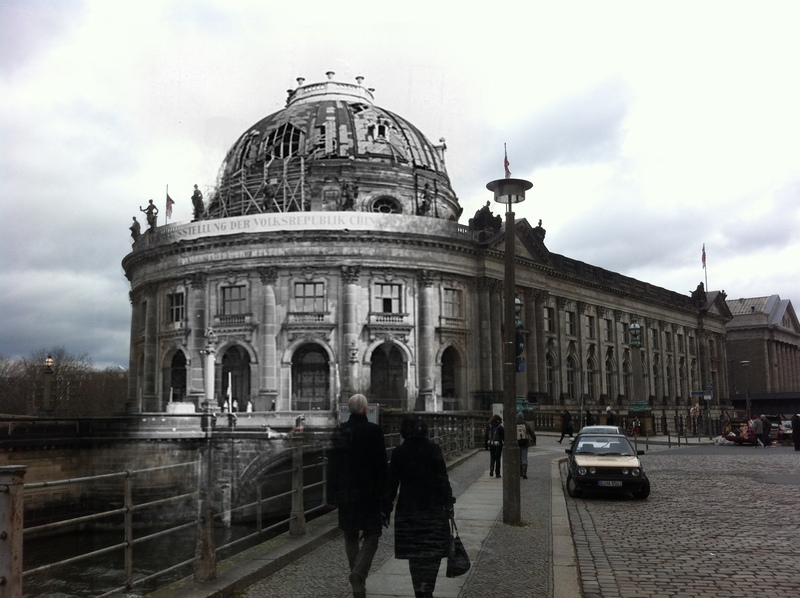 The Altes Museum sits on Berlin’s Museum Island. 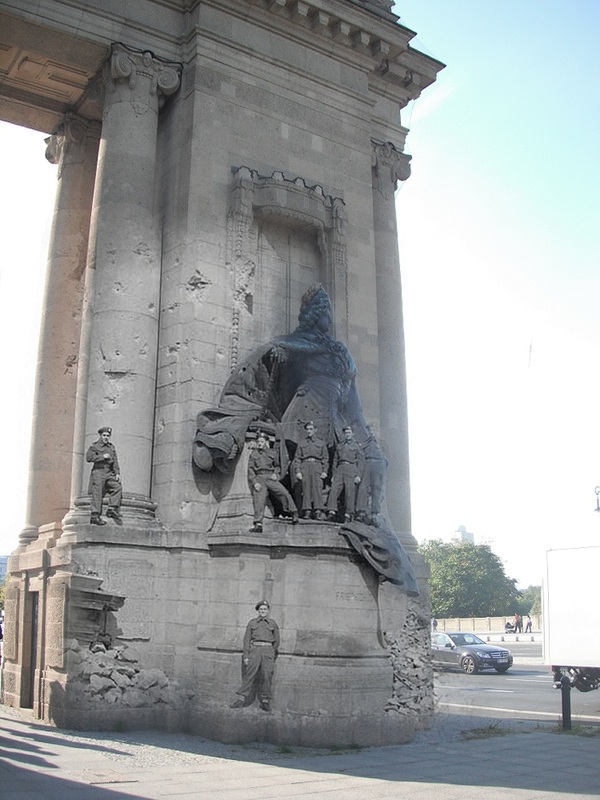 As the name suggests it is an island on the Spree River which is home to some of Berlin’s, if not the world’s, most impressive museums. The Altes Museum, altes being a German word for old, and Museum Island were built in the 1800s by renown German architect and city planner Karl Friedrich Schinkel (1781-1841). 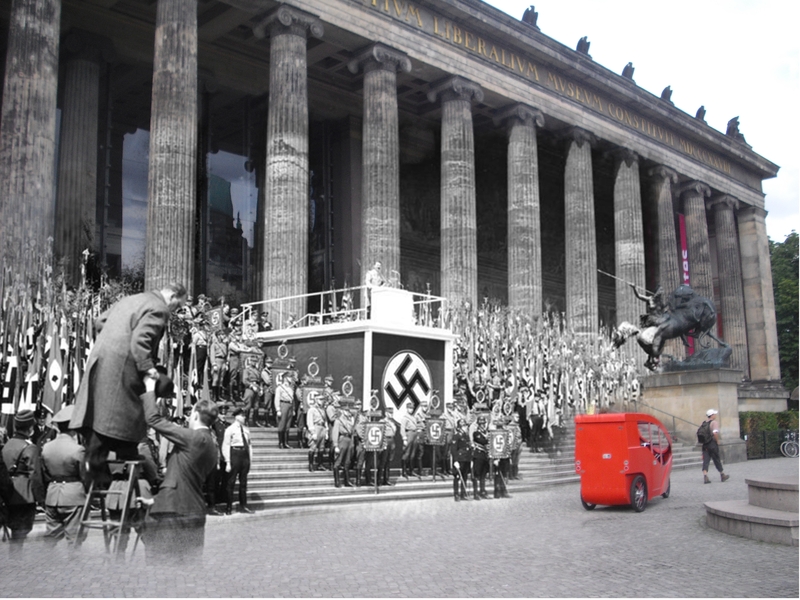 Designated a UNESCO World Heritage site, the Altes Museum is home to Germany’s collection of Classical antiquities. 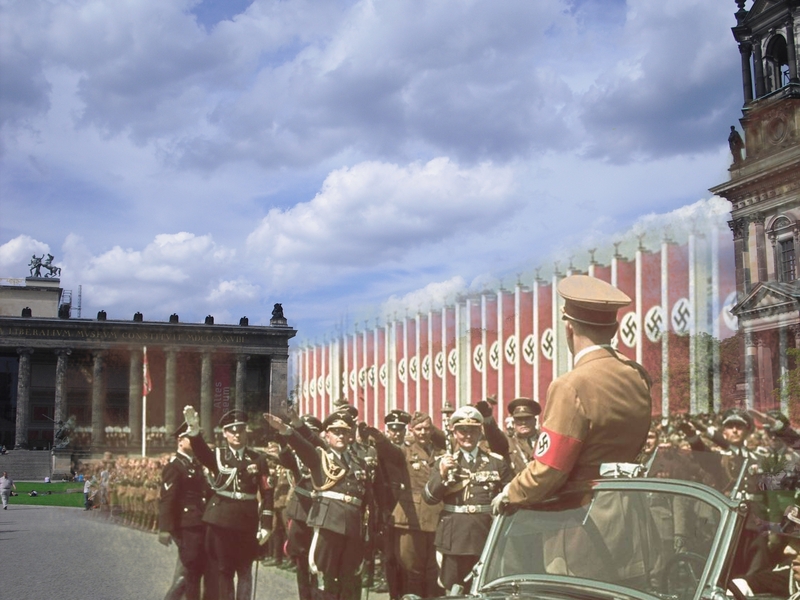 However, in 1939 as Germany celebrated the 50th birthday of Fuhrer Adolph Hitler in Berlin, the Altes Museum became the location for a parade down Unter den Linden followed by a speech given by Hitler representing the climax of the celebrations. Some footage for the event still exists. 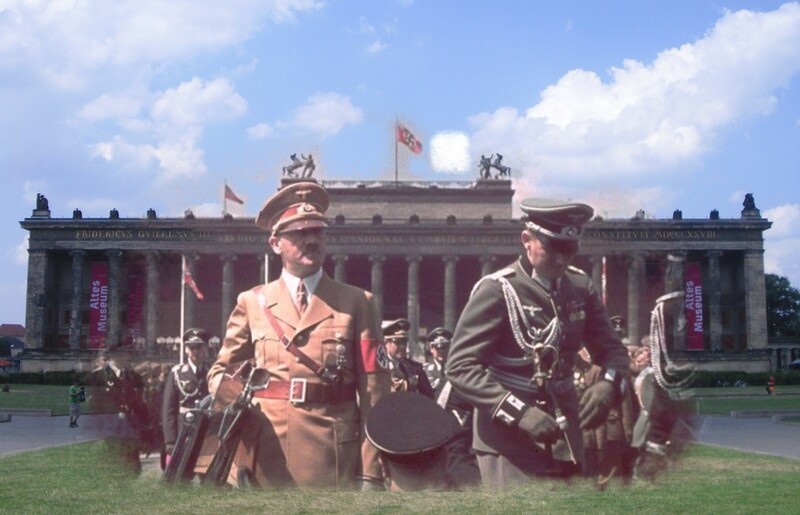 Hitler arrives at the Altes Museum in Berlin to give a birthday speech. 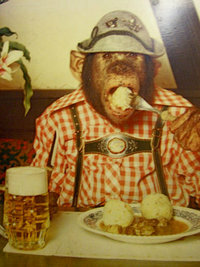 In front of an adoring crowd back dropped by the Berliner Dom, the German Fuhrer delivers a rousing speech. On the front steps of the museum, the media was on hand to record the historic event.. 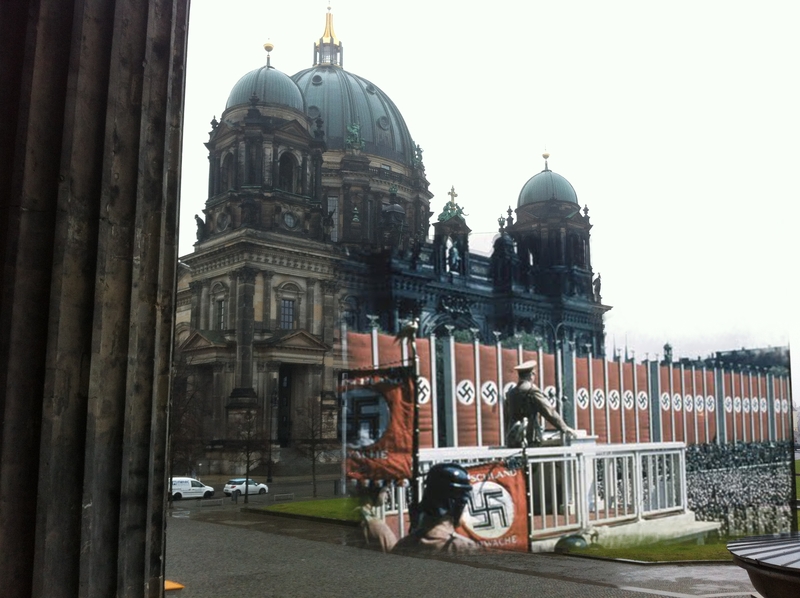 The Berliner Dom sits just to the left outside of the shot. Seemingly well-pleased with himself, Adolf Hitler returns to his car following his speech. 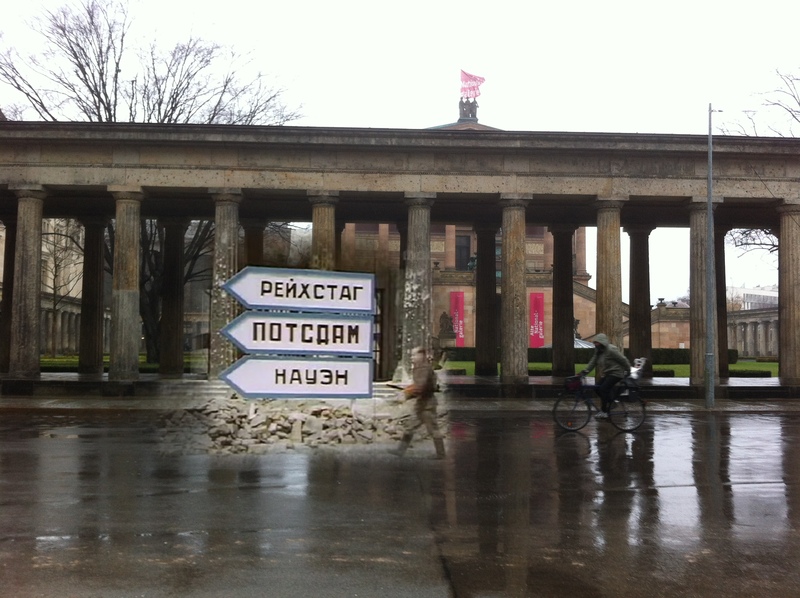 Despite getting off to to a good start, by 1945, the Soviet red Army was knocking on Germany’s door and by April, the Russians were in Berlin. The city became a battlefield. 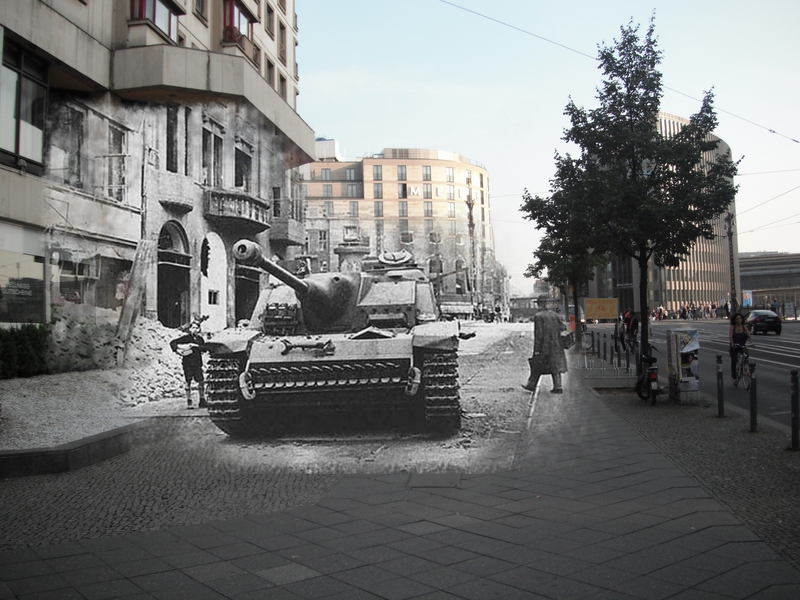 During the Battle of Berlin, all of Berlin’s historic sites were fortified. 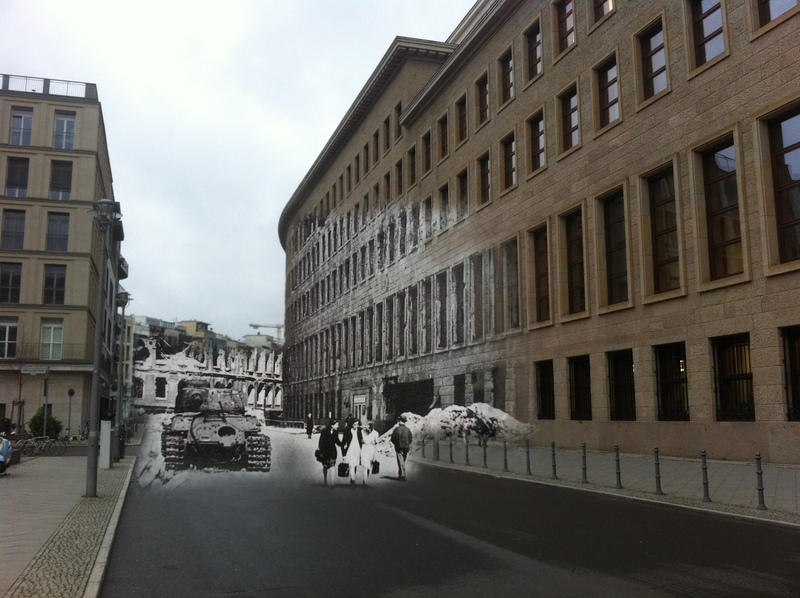 Old stone buildings like the Altes Museum, with their thick stone walls, cavernous basements and small windows became mini fortresses defended until the last man. 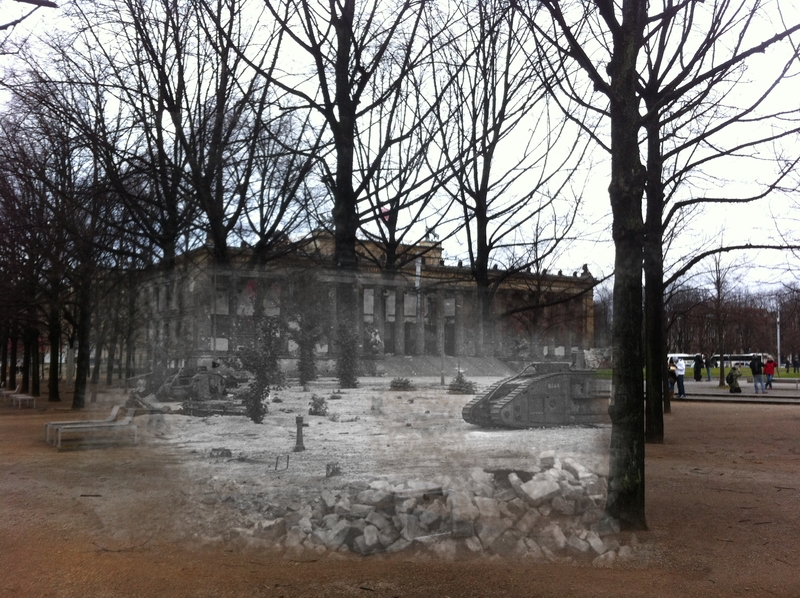 What appears to be a World War One era British Mark V tank lies in ruins before the Altes museum after the Battle of Berlin. Most likely the tank was captured in WW1 and remained a war trophy until necessity brought it back into service. 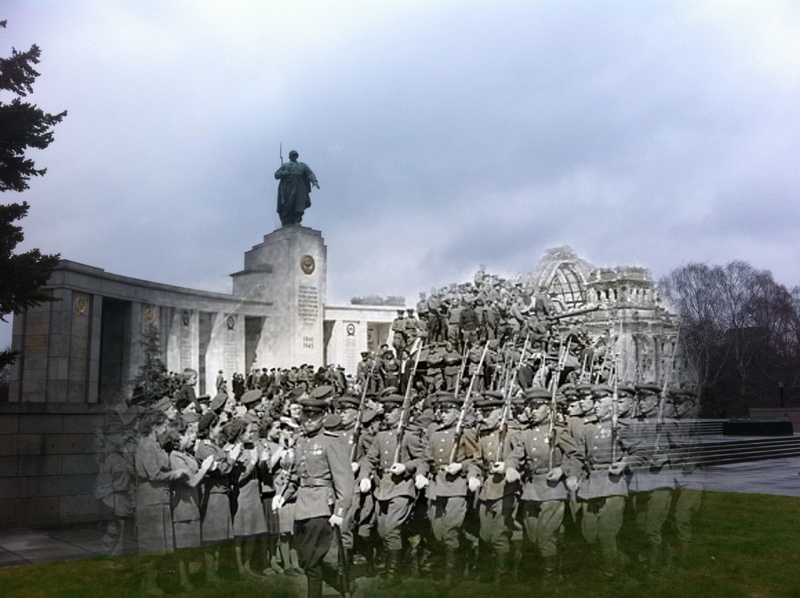 Mostly women were left following the Battle of Berlin. 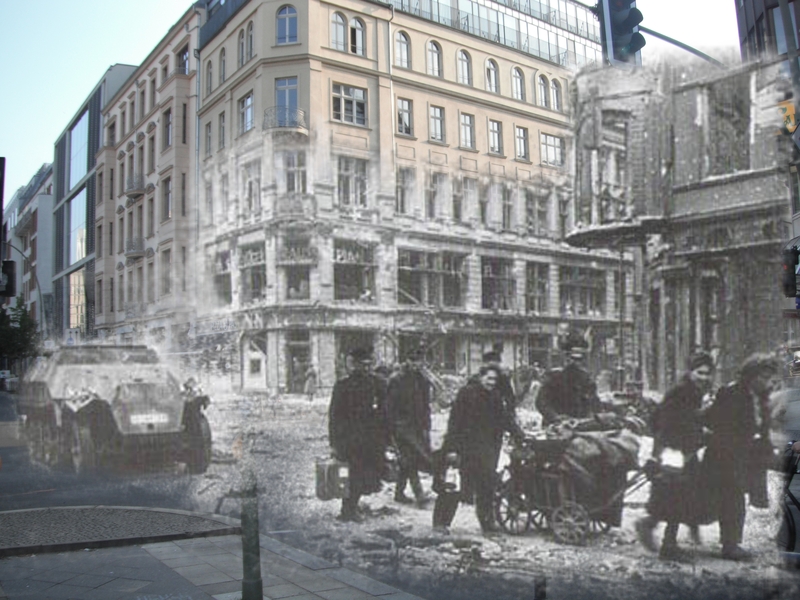 Called Trummelfrau, or “Rubble Women”, they set out cleaning up and rebuilding their destroyed city. 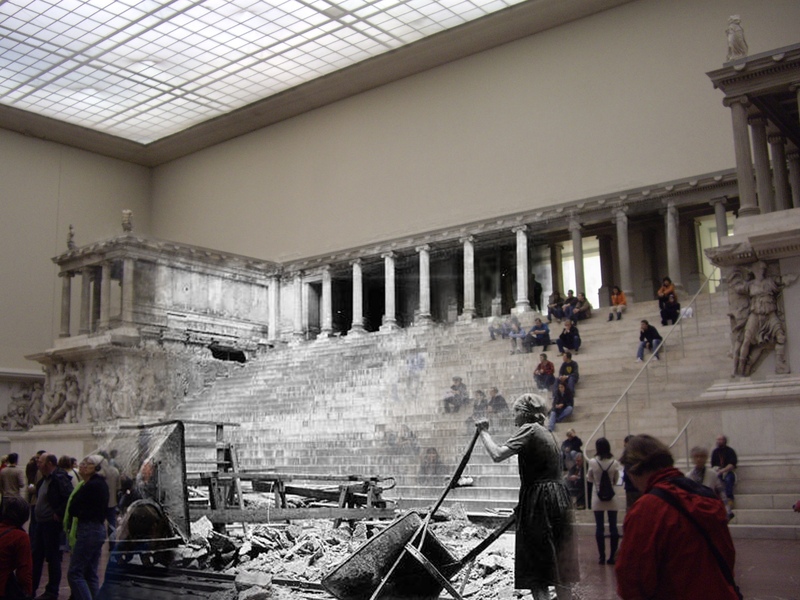 Here we can see a photo of the interior of the Pergamon Museum, which is next door to the Altes Museum.